Microsoft’s Surface Pro now offers fourth generation Intel Core processing and other useful upgrades. Read our Microsoft Surface Pro 2 preview to find out more. 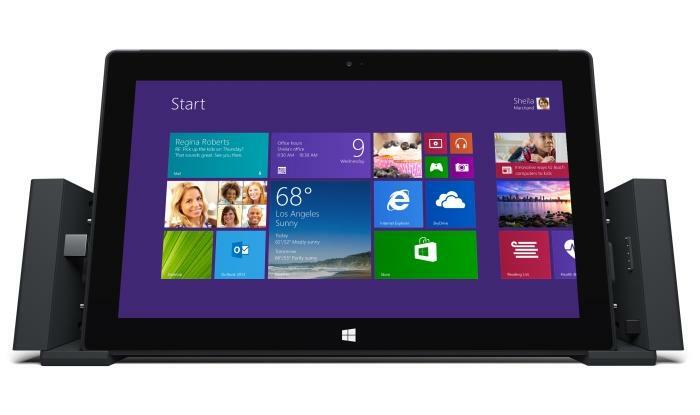 Should I buy the Microsoft Surface Pro 2? Microsoft's Surface Pro 2 gets improved battery life and better overall performance thanks to the inclusion of a fourth generation Intel Core i5 CPU, but it also includes a better screen, an improved kickstand, and better accessories. Microsoft announced the availability of the Surface Pro 2 overnight, with pricing that’s sure to entice those of you who are after a Windows 8.1 slate. Read our full Microsoft Surface Pro 2 review: A compact Ultrabook laptop and tablet with compromises. UPDATE: see our full Surface Pro 3 review. Improvements to the 10.6in, Full HD Surface Pro 2 over the originalSurface Pro are numerous, but the main difference is a fourth generation Intel Core i5 CPU in the tablet’s engine room. The fourth generation CPUs have shown to be a lot more efficient in our tests than the third generation CPUs, offering more battery life when performing the same tasks. 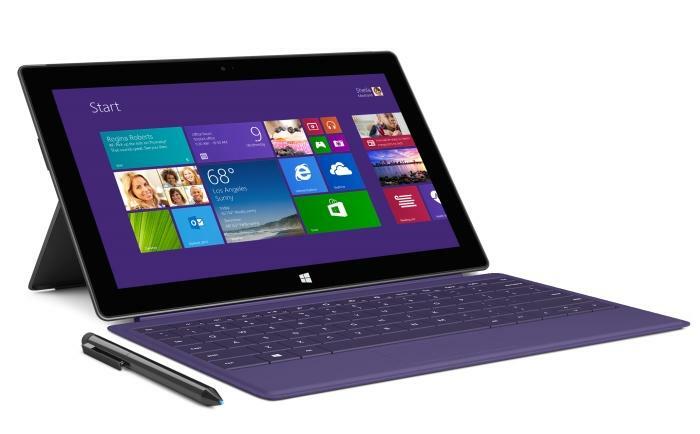 (Microsoft claims the Surface Pro 2 lasts 60 per cent longer than the original Surface). This should be a boon for those of you who want to get close to all-day battery life from a Windows 8.1 tablet. See all Windows tablet reviews. Importantly, if you want even more battery life out of the product, you can opt to attach the new Power Cover accessory. This is a Type Cover that has a built in 30 Watt-hour battery — with it, the battery life of the Surface Pro 2 is said to be 75 per cent better than the Surface Pro. It clicks into the Surface Pro 2 just like the standard Type Cover, and Microsoft says that it doesn’t add much noticeable bulk to the product; its weight is 249g and it’s just shy of 10mm thick. Its keys are not backlit. No pricing or availability date has been given for this accessory yet. Take a look at What's the best tablet you can buy in 2013? The new Core i5-4200U CPU runs at a slightly reduced rate than its predecessor (1.6GHz compared to 1.7GHz), but it essentially offers the same level of performance compared to the Core i5-3317U CPU that was in the original Surface Pro. Importantly, the Intel HD 4400 graphics that are built in to the CPU also offer better performance when it comes to crunching 3D scenes. The addition of the new CPU also means that the Surface Pro 2 should operate cooler and quieter. The storage and memory of the Surface Pro 2 also get an upgrade. Surface Pro 2 starts at the same level as the original model — 64GB with 4GB of RAM — but it now goes up to 512GB with 8GB of RAM. The in between configurations are 128GB with 4GB of RAM, and 256GB with 8GB of RAM. Considering the amount of space Windows takes up on the system drive, the extra storage options are welcomed, though you will have to pay a commensurate amount above the base price to get them. Microsoft says that some changes have been made to the physical design of the Surface Pro 2 to make it more comfortable to use on your lap (or in any other scenario where a wider angle is needed); this just means that the kickstand, which, by the way, we think every tablet should have, now has a second angle. In addition to the single angle that was found in the original Surface Pro, the kickstand on the Surface Pro 2 tilts back further (almost at a right angle to the tablet) so that you can see the screen better while sitting upright. See also: Surface Pro 2 is unique and brilliant... but not for you. 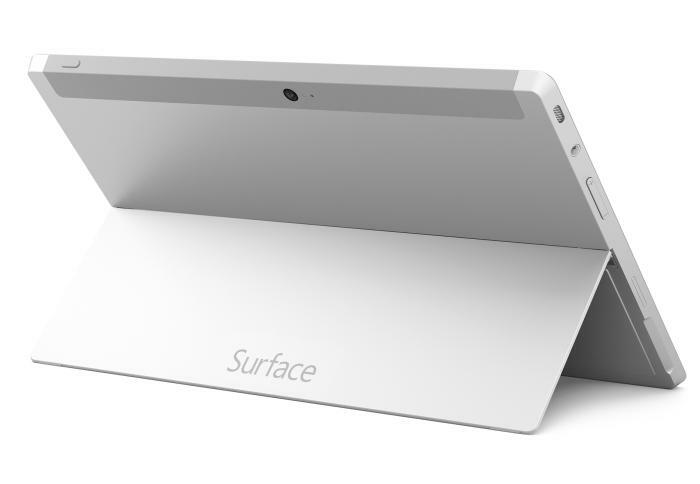 The kickstand allows the Surface Pro 2 to tilt back a little further. If you’re a business user, you’ll be happy to know that the Surface Pro 2 now comes with a docking station. It allows the Surface Pro 2 to click into the dock even when its Type Cover 2 is attached to the tablet. The dock adds DisplayPort to the tablet, allowing it to drive two displays for a maximum resolution up to 3840x2160 pixels. It’s a dock that also includes speakers, Ethernet, one USB 3.0 port, and three USB 2.0 ports. This dock will have a price of $230, but it won’t be released until early 2014. The new docking station allows the Surface Pro 2 to be used more easily as a desktop computer. The Full HD screen itself gets an upgrade. According to Microsoft, it now has 46 per cent more colour accuracy, which Microsoft says should appeal even more to artists, movie makers, and photographers who want a portable unit with a better representation of colours. Just like the original Surface Pro, Surface Pro 2 comes with a digitser pen that offers 1024 levels of pressure sensitivity. The Type Cover 2 is now offered in more colours, and it’s 1mm thinner than the last Type Cover (and almost as thin as the original Touch Cover). Microsoft says it has better key switches that have a shallower travel of 1.5mm, but that this should enable not only faster typing, but also silent typing. This should be an advantage when typing in a classroom or boardroom. Importantly, Type Cover 2 is backlit, and it dims and switches off during idle times. The price for Type Cover 2 is $150 and it weighs 256g. New colours have been introduced to the Type Cover 2, and the keys are now backlit. Touch Cover 2 is also thinner than its predecessor (2.75mm thick and 185g), and is said to have more sensitive keys that support gestures across the entire keyboard. Furthermore, its design is said to be more rigid. Like the Type Cover 2, its keys are backlit. It will cost $140. Another new accessory has been introduced: Wireless Adapter for Typing Covers. This is a wireless adapter that works with Bluetooth and it allows the Typing Covers to be used separately from the tablet itself. It can be useful when giving presentations, or when you’ve plugged in the tablet to your TV and want to control is from afar. No pricing or availability has been given for this accessory. The new accessories, Touch Cover 2, Type Cover 2, Power Cover, and the Docking Station are also usable on the original Surface Pro. Wireless Adapter for Typing Covers can be used on all Surface models. Finally, Microsoft announced a new Arc Touch Mouse for Surface, which is said to match the look of the Surface, and it works via Bluetooth. It doesn’t have a price or date of availability yet. There is also a Car Charger with USB accessory, which has a price of $60 and will be available in early 2014.